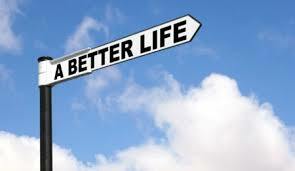 As a life coach I help people find a faster path to a better life. The meaning of faster path is basically pointing someone in the right direction, having a goal or dream is the first step on that new path. Your goal can be anything, from a daily task to a year long project. Our goals often stem from a wish, a dream or perhaps from simply knowing what you want or what you don’t want. September is a good month to set goals and there is still time to fulfil our new year’s resolution plans. I suggest that you start by writing down your goal, making it real by removing it from your mind and seeing it on paper. It’s important to be specific about what it is you want for yourself. Specify what it looks like, what it feels like and how long it will take you to reach. Having a timeline will allow you to measure your progress and stay focused on the end result. Ask yourself, what do I need to do to reach my goal? Knowing what is required of you will help you prepare a realistic plan. Be fair and rational do not set yourself up for failure. Failure can be avoided, it's inevitable that there will be bumps in the road, accept them. Be persistent, if or when these bumps arise remind yourself of why you started in the first place, keep your goal in sight and set of on your journey again. One daily action towards your goal will increase your motivation and build momentum. It’s up to you now. Will you decide to dream on, or take action?